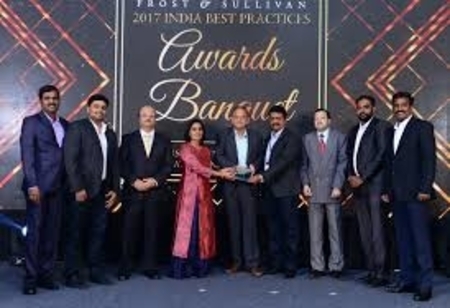 Frost & Sullivan is all set to host its 5th Annual 2018 India Best Practices Awards Banqueton October 10th at Hyatt Regency, Mumbai. The banquet’s intent is to recognize transformational growth of companies across industries demonstrating accelerating change, increasing risk and the powerful disruptive impact of the conversion of new business models, disruptive technologies and mega trends. Frost & Sullivan’s annual, flagship event - Growth Innovation & Leadership (GIL) Summit 2018focusing on “Leading and Winning in an Era of Unprecedented Change”will precede the awards. This year’s Awards Banquet aims to recognize companies across 7 categories - Energy & Environment, Mobility, Tech Vision, Visionary Science (Chemicals, Materials & Food, PPE), Transformational Health, Measurement & Instrumentation, and Industrial Automation & Process Control. The winners of this highly coveted and sought after awards program will showcase exceptional accomplishments and superior performance in areas of leadership, technological innovation, customer service, strategic product development, etc., in their respective markets. 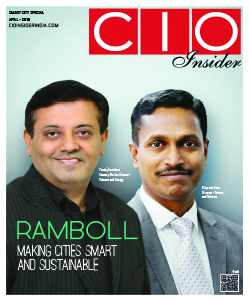 This is an invite-only event that will bring together top-notch CXOs from various industries under one roof. To find out more about Frost & Sullivan’s Awards program and partnership opportunities, please mail Khushboo Kapoor at khushbook@frost.comYou can also follow the event and get updates on Twitter and LinkedIn using the hashtag: #FSInAwards. · Nitin Deshmukh, Founding Partner, Kotak Investment Advisors Ltd.
· Ravi AV, General Manager & Country Head, Nichia Chemical India Pvt. Ltd.
· Vinay Lakshman, Managing Director, Rane Brake Lining Ltd.